This is a patriotic American advertising poster from World War II created by John Falter for the United States government. This poster features bold typography that frames the central scene of the image: two women standing, one looking intently at the other, who is gazing hopefully into the distance. 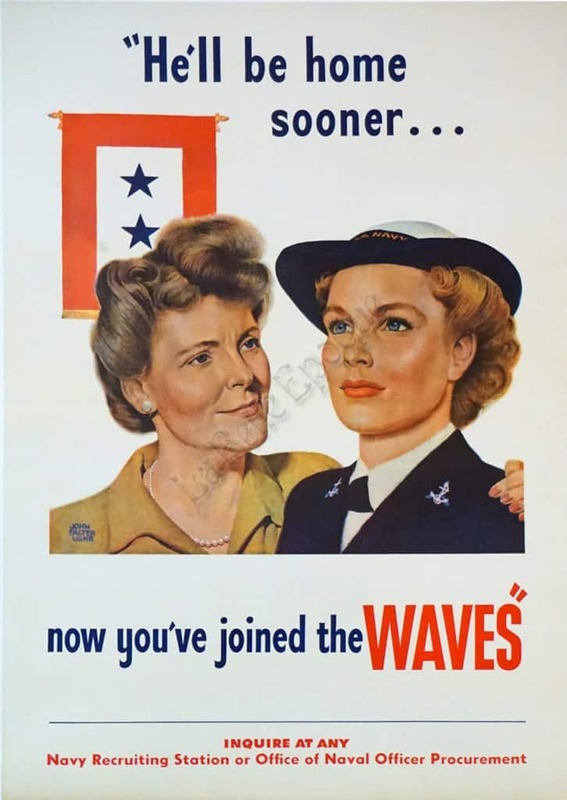 Above them it reads in navy blue lettering, “He’ll be home sooner…” and below, “now you’ve joined the WAVES.” This is a beautiful and moving example of the posters that were created by the American government to encourage participation in the ongoing war effort.